Social media performance is a constantly moving target — and that’s not strictly applicable to what topics are trending or what cute animal video is going viral. The way users experience the platforms and the content on them is constantly evolving, often spurred by algorithm updates that regularly reconfigure what we see when we log in. Facebook is one of the most notable algorithm-tweakers in the socialverse, making sweeping changes every year or two. These updates have led to a steady decline in the number of people that businesses can reach organically with their posts. Adapting to these changes is a particular challenge for marketers, who often rely on social media as an important avenue for spreading their brand’s message to existing potential customers. Many social media observers have noted that businesses should expect Facebook’s organic reach — that is, the percentage of followers you can expect an average post to reach without paid promotion — to eventually decline to zero. We’re not there yet, but with the decline in organic reach over the last several years, some studies report an organic reach as low as 1 percent for some social media posts. Facebook’s latest significant algorithm update gave more ‘News Feed’ real estate to content from a user’s family and friends and reduced the content displayed to users from pages they’ve liked or asked to follow. Due to changes in what people see in their feeds, it’s now quite possible that some of an organization’s Facebook posts are just whistling into the void. However, there are some strategies business can employ to improve the performance of their social media posts. Make it good. This one seems basic, but it’s more important than ever to be discriminating about what you post. Facebook prioritizes content that is engaging, offering content up to more users if others have interacted with it in a meaningful way (i.e., sharing or commenting). Liking doesn’t have quite the same “oomph,” according to Facebook. Learn from the past. Survey your past social media performance to determine what content performed well and look for ways to replicate and improve on that performance. Turn to real people. Because newsfeed prioritize content from individuals over content from an organization’s page, consider an ambassador program to get more people talking about your brand on social media. These ambassadors can be employees, customers, partners or other influencers who can use their own social media circles to help broadcast your messages to the world. Start small by identifying some possible participants, reaching out to them with a humble ask (say, one or two posts), and offering them some motivation or reward for joining your endeavor. Lean on live. One element of Facebook that’s booming right now is video. There are more than 8 billion average daily video views and 100 million hours of video watched every day, and 20 percent of those are on Facebook Live videos. You can tap into a wider potential audience by posting more videos. There are a number of online tools that can help even novices create video without the cost and time of a major production company. One important thing to remember is most people watch Facebook videos with the sound off, so be sure the content can be consumed visually. Pony up some dough. Despite all your best efforts, chances are your Facebook reach is eventually going to dip to a level where it’s no longer providing value to your marketing campaign. When that happens, or before it happens, it’s time to consider paid posts. Boosting posts on Facebook is relatively simple, and it’s easy to invest just a few dollars to get your feet wet and learn the ins and outs. 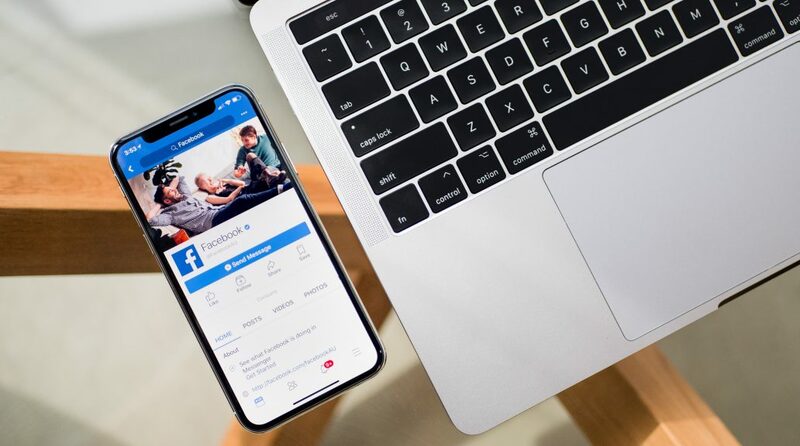 Facebook offers several helpful tools like narrow audience targeting and A/B testing to help you get the most bang for your sponsorship buck. Adapting to changes that result from algorithm updates is crucial to successful marketing campaigns. Creating engaging content and making it sure it gets in front of of consumers will help you stay ahead of the competition. Amy Clarke Burns is a public relations specialist with VantagePoint Marketing, a B2B marketing and advertising agency in beautiful Greenville, South Carolina.